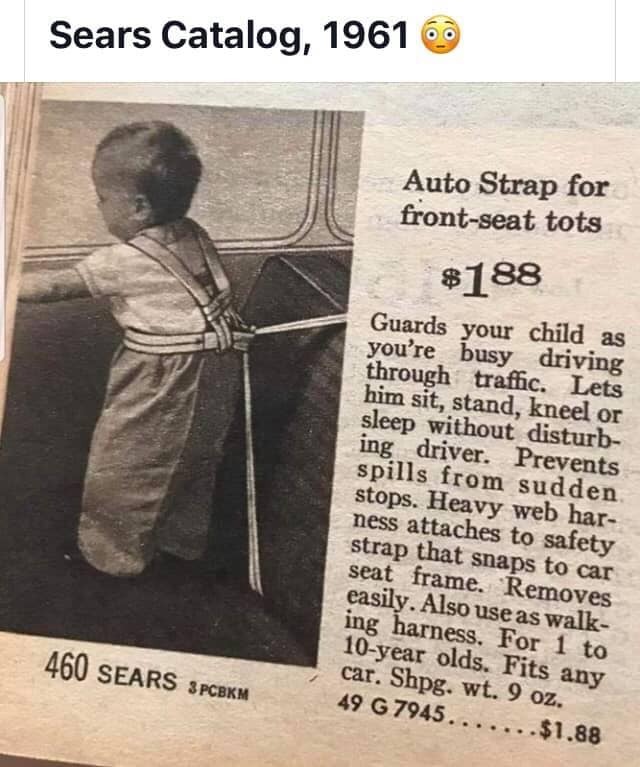 For the youngsters out there, car seat-belts were not required at that time. When my parents' car was hit in 1970, I was playing in the well behind the driver's seat, so nothing happened to me (my little brother (4 years old) was asleep in the backseat, so he rolled into the well (the other one - not the one I was playing in). ... are you a Nicoll? Nope. Just another 70s child. When the family went on holiday in the sixties, I was allowed to ride in the front with my father. My mother (who never learned to drive) sat in the back with my sisters and my much younger brother. I was happy to have my nose in a book whereas my sisters were always car sick. No seat belts for most of the sixties, and I remember being disturbed in my reading when my head hit the dashboard when we braked suddenly. I used to get terribly carsick fairly often. However, once I discovered science fiction, I was able to overpower carsickness through the power of reading. My parents noticed the other effect of this change - previously my method for avoiding carsickness was incessant chatter, so going silent to read made a big difference. Not only not required to be used, not required to be installed at all! In 1965 my dad bought a brand new Chevelle Malibu. He had seat belts installed in the rear seat at the factory for my brother and me. It delayed delivery by a month or so. My father was like that. Insisted on rear seatbelts back when they were an uncommon option, and insisted that we wear them: "The car doesn't move until everyone has fastened their seatbelts". I'm glad he did; it instilled a lifelong habit in me. Exactly the same for me. I'm not comfortable in a car unless the seat belts are done up. I remember me and my brother riding in the rumble seat of our station wagon looking backwards at oncoming traffic... Oh, those were the days! A jump seat with seatbelts, at that, at least in that illustration. (Riding there with the back down and looking at the traffic behind does sound pretty cool). Also, riding in the bed of a pickup truck . . .
or standing in the bed of a moving pickup truck... I remember that dumb teenager trick from the 1970s. I had a chip knocked out of one of my incisors from a time riding in the back of a pickup. The truck went over a bump and the tailgate moved upward suddenly while I was peering over it. When I was a student back in the early seventies I had a summer job working for the local parks department. (It helped my parents were on the local council.) We were often taken to jobs riding in the back of a pickup. Went under a tree once and the branches nearly took my eye out. 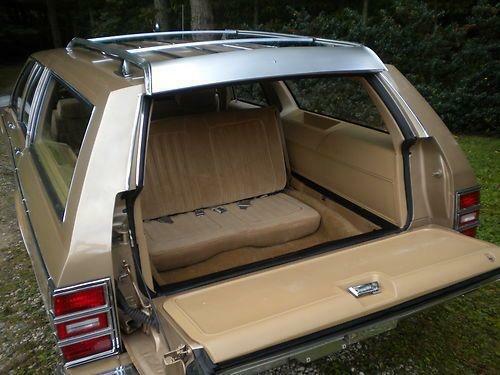 My babysitter had 6 kids, and a big old station wagon (this was mid-70s)--her youngest and I would ride in back and roll around when she turned corners. I don't think it had a jump seat--or at least, we never bothered to use it. You should see the picture of me in a car seat that attaches to the _outside_ of the passenger seat window (not for use while driving! ), presumably so the infant can get some air while the car is parked in a parking lot. Circa 1966. Sometimes I'm amazed any of us survived to adulthood. In the winter of 1961, my Mom was driving herself and me back home from Penticton to OK Falls. We hit black ice at the junction that led to Keremeos near Kaleden, and we spun three times. Neither of us were wearing seatbelts - I don't think the Beatle was even equipped with them - and when we ended up pointing the right way on the highway I jumped up and shouted, "Do it again! Do it again!" I was 5. My Mom never lost her nerve, and I don't even remember us slowing down as she carried on. We definitely didn't come to a stop. We called them "wiggle straps" and they were AWESOME. My dad used to pick me up by the back loop and swing me around like those airplane carnival rides. On the other hand, it made it easier for my little brother to cross no-man's-land and touch me. On the gripping hand, how did anybody survive the 70s? I was in my late teens before my parents owned a car with more than two pairs of seatbelts. On the other hand, a few weekends ago I was sitting at a red light, on my way to the grocery store on a bright sunny afternoon, and I heard a sound behind me. I glanced up in the rearview mirror just in time to see a mini van barely come to a stop before hitting me, and a kid, maybe four years old? Was standing up in the passenger seat and he did a head dive into the dash, popped up crying and with a bleeding nose right away. A man that I presume was he father in the driver's seat seemed to be yelling. I meanwhile, was double-checking: yes, the light in front of me was still red, and all the cars in the other lanes were just calmly sitting still waiting for the light to change, so I hadn't done anything wrong. Light turned green and when I glanced in the rearview-mirror, the father was changing lanes so he could pull over kid was sitting down and barely visible, with one hand over his face. This is basically how we travel with our cat between the house and the office every day. A loop around the fastened seatbelt clips into her harness. I'm glad I can keep my 21st century cat as safe as a 20th century toddler. The seatbelt part of your set-up makes it much better than the Auto-Strap! We do that for the dogs too because I for one do not want to take a 65 lbs dog to the head. However, newest dog has decided to literally eat seatbelts so we're having to rethink our strategy (and possibly finally buy me a new car). When my family went on vacation with a cat she decided to spend the traveling hours hiding under the driver's seat. We kids were a little disappointed, having hoped to play with the cat while the adults drove. I don't know how the cat felt about it. Well, you know. Baby steps. I remember (or possibly remember a story) of a time in the early 1980s when my family had gone to see the circus in the nearest city -- about an hour-and-a-quarter drive away at the time -- and our car had failed to start to take us home. Luckily we had also run into some friends of ours there, completely unexpectedly, and they had a station wagon. Thus, we ended up driving home, very late at night at that point, with the four adults in the seats and the three kids playing in the back. We did get pulled over by a police officer, I think when we were nearly home. He pointed out that the tailgate didn't seem to be quite entirely latched, and shut it properly for us, and sent us on our way. I also should say that I have no idea whether the preteen that lived at the larger farm down the valley wore a seatbelt when he was driving the 3-ton "farm use" grain truck on the one-lane public road between the fields and the and silage bin. My brother-in-law, as a 14 yr old, was drawing a paycheck for driving a pickup truck during the building of the Trans Canada Pipeline. I don't know why no one asked for proof of age, though he was over 6 ft tall by then. He grew up in Mountain Road, MB, which is just a bit outside (by rural standards) of Neepawa, MB. Just another farm kid from the days when farmers could and did load boxcars at sidings by shoveling grain into the car from a truck (none of them fancy and expensive augers thank you). "Though he was over 6 feet tall by then." You just answered your own question. Especially if he was shaving by then, too. can also be used as a walking harness!